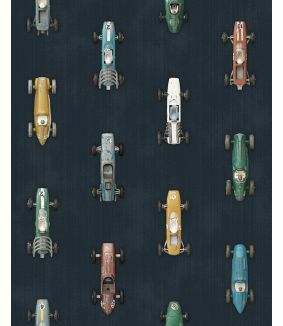 Studio Ditte duvet cover with classic race cars. 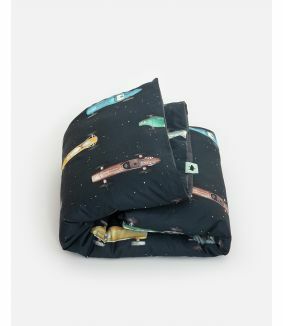 Cool bedding for young drivers’ children’s rooms. 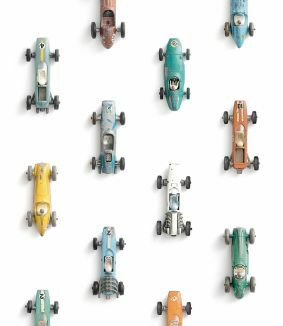 Vintage Formula 1 racing cars drive at breakneck speed on the dark bedding. The print is crisply displayed on a soft cotton. The backside of the duvet cover is made of a beautiful anthracite. Your child will have wonderful dreams under this beautiful children's bed linen. The cover features a double tuck-in flap across the entire width. This makes it suitable for duvets up to 220 cm long. The total lenght of the duvet cover, inclusive tuck-in flap, is 240 cm.